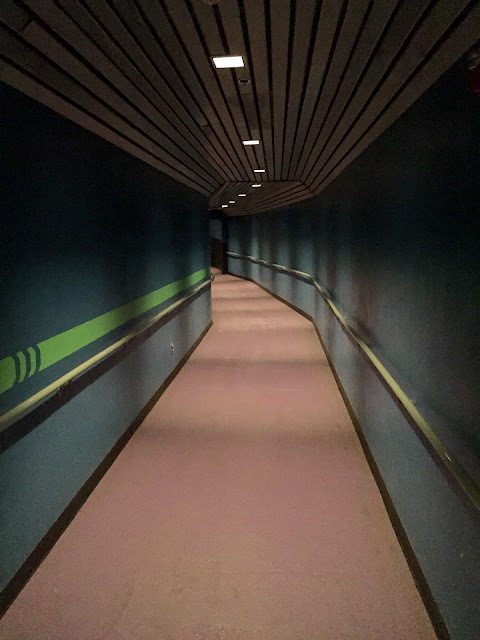 Here is an area of Space Mountain that most guests never see. If you have been down this very long and nondescript hallway, chances are you chickened out and decided not to ride. This is the way to go from the loading area to the exit without having to fly through space. I grabbed this shot over the weekend while doing some FastPass research.